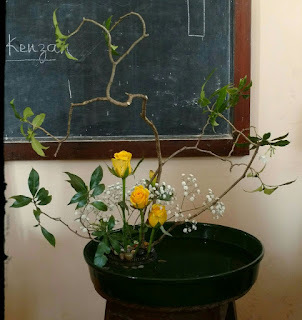 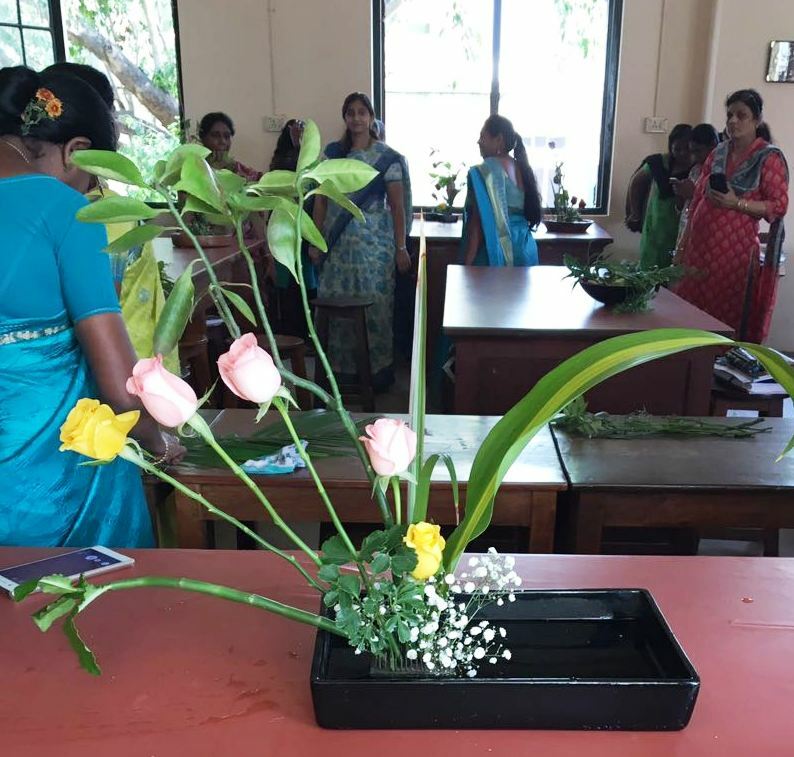 Women’s Christian College, Chennai organised a demonstration/workshop of Ikebana to introduce students of the Botany department to this beautiful art form. 45 students were present for the session from 8.15 to 11 am. The Department staff and Head of Department too were present throughout the event and were very encouraging. Senseis Prerana Mehta and Trishala Vaishnav handled the session, and it was a special day for Trishala as she is an alumnus of the College. 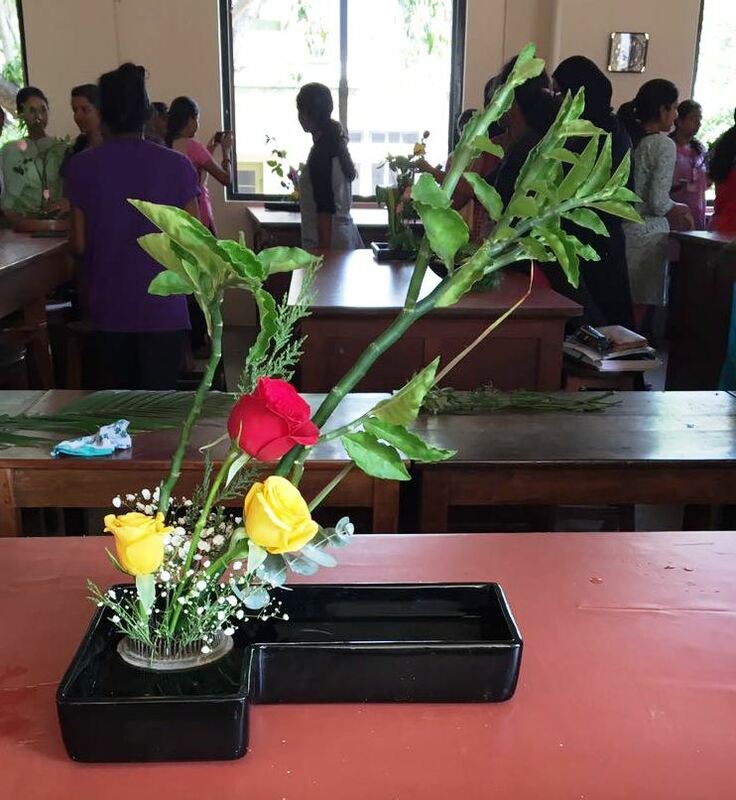 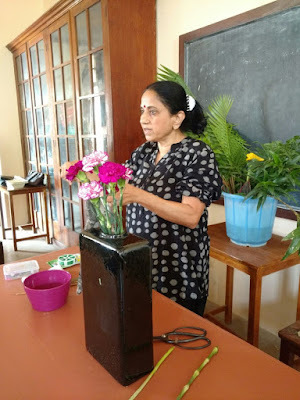 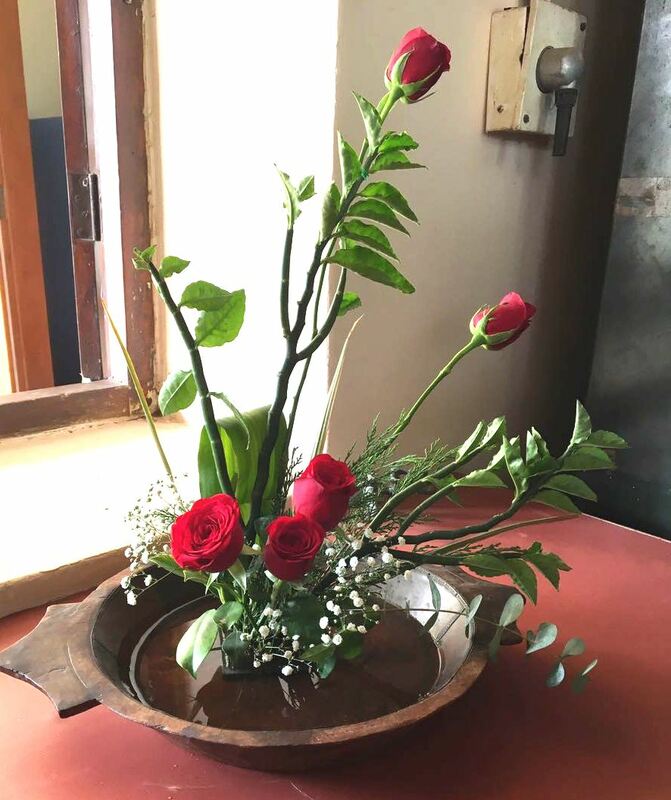 Prerana began with a 10-minute introduction on Ikebana, followed by a demo of the Basic Upright style by Trishala and Basic Slanting style by Prerana. 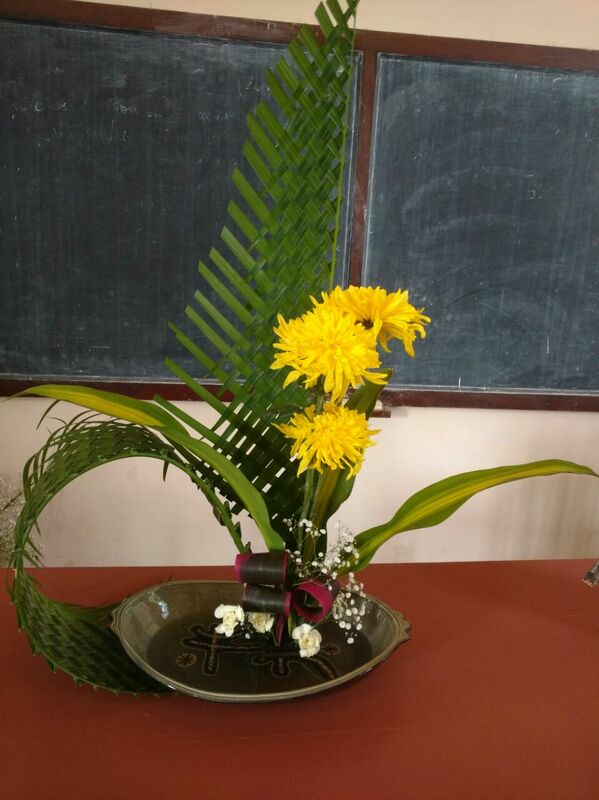 They also did a freestyle arrangement each, and everything went smoothly as they had meticulously planned and prepared for the day. It was then time for the students to put their newly learnt skills into practice. They worked in groups of three and were given complete sets of vases, flowers, greens, cutters and kenzans to work with. Our senseis were very happy about the outcome and how well students had picked up the concept. 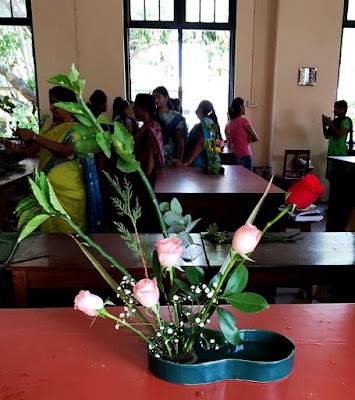 It is easy to imagine how well Prerana and Trishala conveyed their enthusiasm and joy to the group! 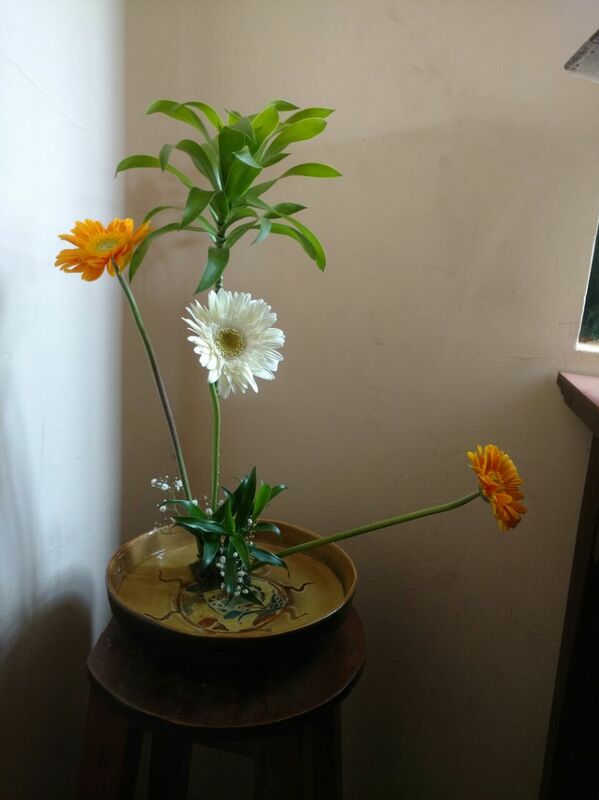 and the joy shows too! 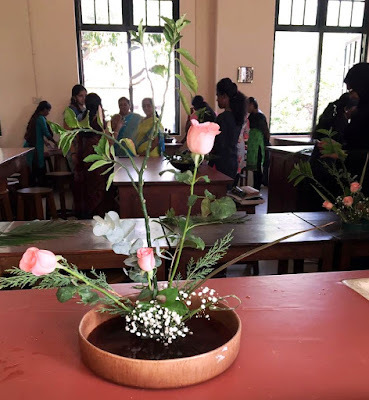 The highlight of the workshop, Prerana said, was not about the technical aspects as much as the enthusiasm and enjoyment of students, which showed in their arrangements. Students made their work easy by assisting in carrying the materials to the venue on the first floor. 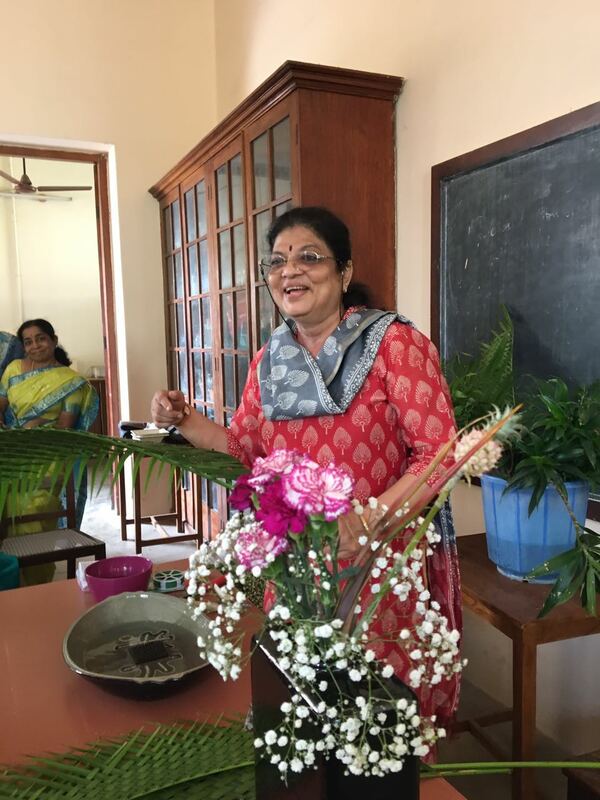 They evinced keen interest and were extremely well behaved during the session. 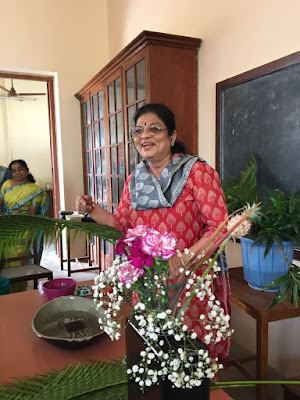 The HoD’s remark that they would remember this workshop even 25 years later was the best possible feedback they could get, and this is the kind of encouragement that nurtures the group.